If you've been a follower of my blog, you'll know that I love trying out products from Sample Room. 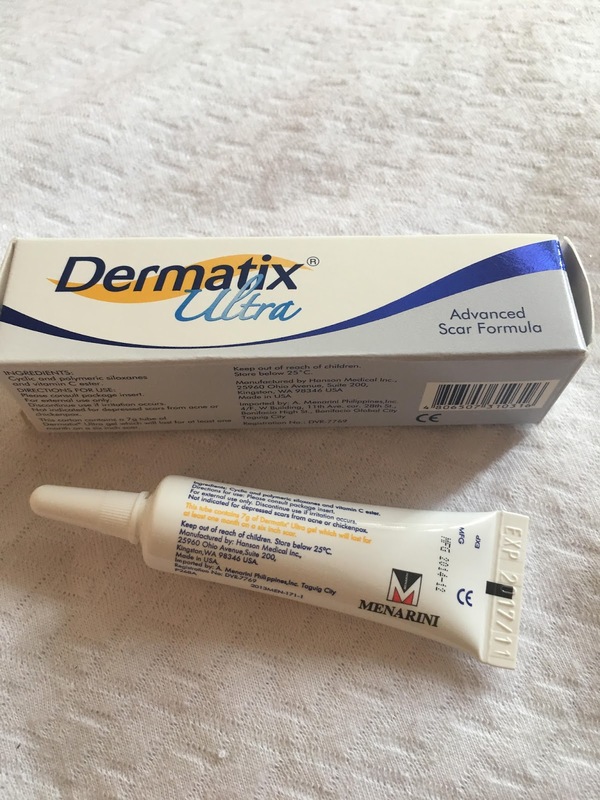 From my most recent Sample Room Haul, I got this Dermatix Ultra gel that's supposed to help lighten up scars. I used this on my son's fairly noticeable facial scar on his cheek. 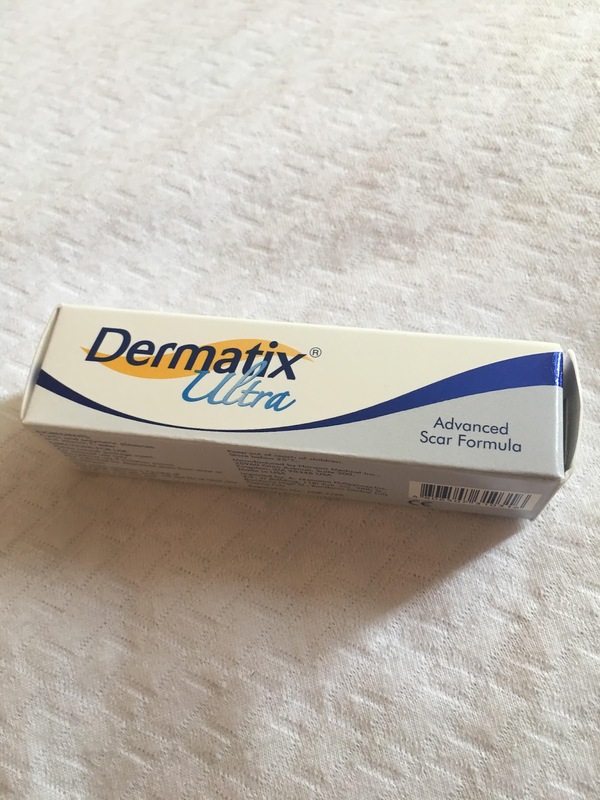 According to it's product information leaflet, Dermatix® Ultra is an advanced scar formula that is proven effective in the management of scars. It has the innovative CPX (cyclopentasiloxane) technology for improved effects in flattening and softening scars and contains a unique ingredient of Vitamin C, which gives the benefit of photoprotection and skin lightening. 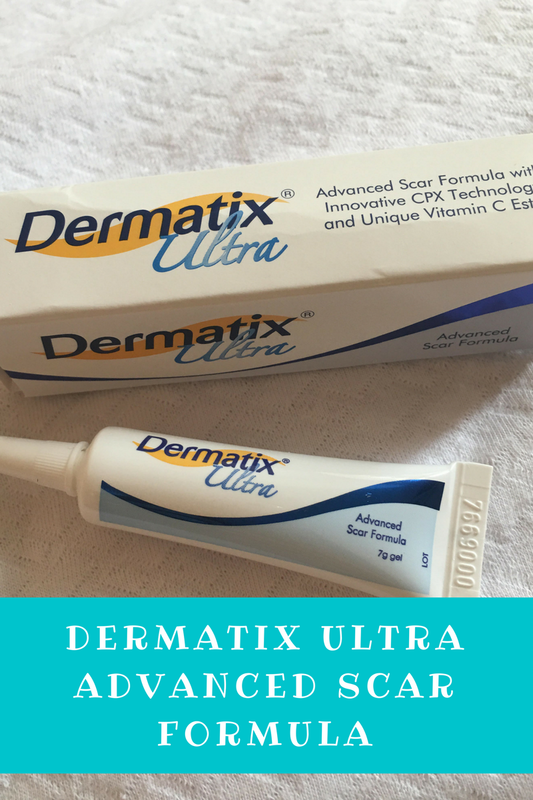 Dermatix Ultra’s high grade of skin conditioning agent heals your scar without the greasy, sticky feel upon application. It leaves a soft, silky and clean feel upon application. It leaves a soft, silky and clean feel when applied to the skin. Dermatix Ultra works on elevated scars not older than 2 years. These may include scars resulting from surgery, burns, cuts, scratches, insect bites, etc. However, it is not indicated for the treatment of depressed scars such as those resulting from acne or chickenpox. Scar resulting from surgery such as Caesarean Section, Thyroidectomy, Cardiac Surgery, etc. - after 10-14 days. Dermatix Ultra must only be applied on dry, intact skin. If patient has a scar from surgery, ensure that the wound has healed first before applying. Clean the area with mild soap and water. Pat dry after cleaning. Place a small pea size amount at the tip of the scar and gently spread thinly over the whole affected area. A small pea size is sufficient to cover a 6-inch scar. Allow to dry for about 1-2 min. Once dry, Dermatix Ultra may be covered with cosmetics or sunscreen. If it is not yet dry in 2 min, it only means that the patient has applied too much. Applying too much does not increase its efficacy, so do not over use. 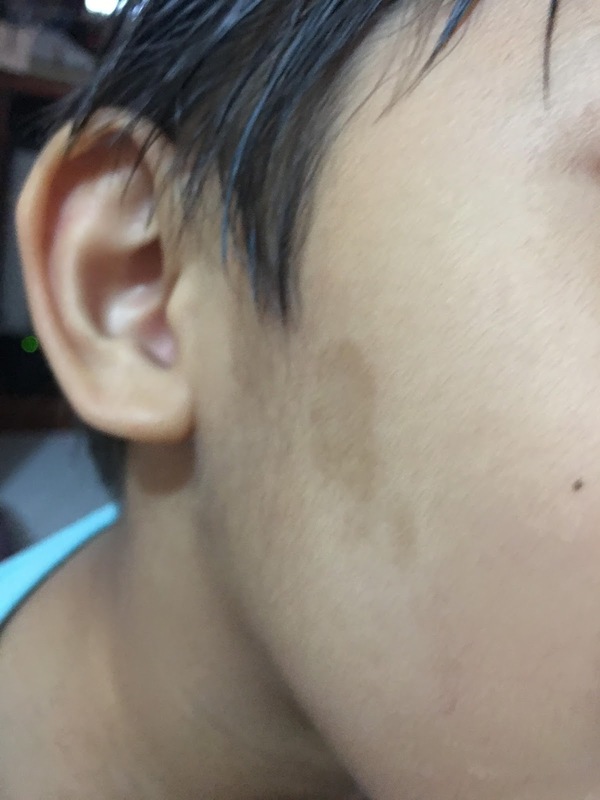 I've been using this product for 3 weeks now and so far, I haven't noticed (and I'm not expecting to) any drastic improvement on my son's scar. According to the packaging, initial improvement may be observed after 12 weeks of continued use. For major or bigger scars, it may take ≥3-6 months to experience the full benefits of Dermatix Ultra. I checked their website and they have proven studies on the Efficacy of Dermatix® in Scar Management. I can't wait to see positive results from this product. The 7g topical gel retails at 730 pesos but I got this from Sample Room for free. I only paid for the shipping. 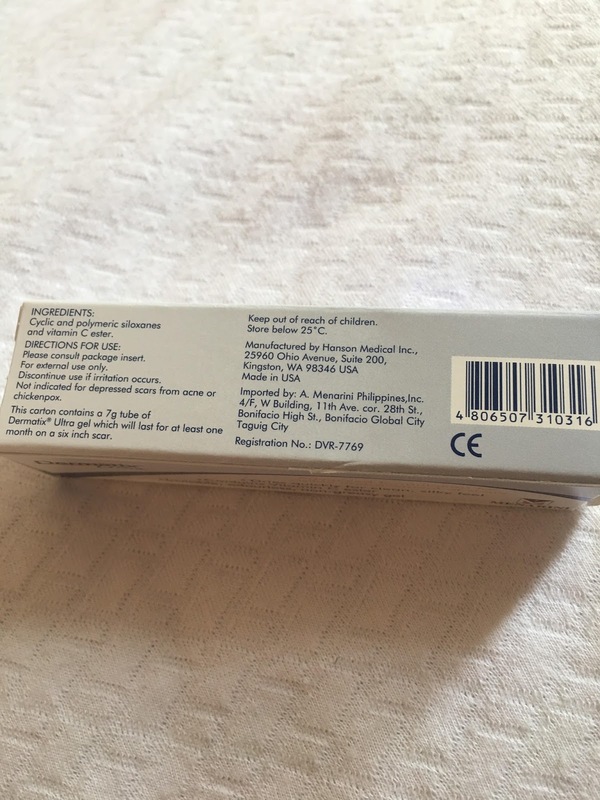 I will repurchase this when I get to see improvements on my son's scar. I'm not sure though if this is available in the drugstore (I'm pretty sure it is) but will soon find out when there's a need to buy. I would expect scar treatments to be more effective on recent scars naman talaga cause that's still fresh. Love that they are safe for kids. This products sounds great! I think it's perfect to use on kids 'cause they often get scars because of playing. I use another brand for my Ykaie's scars.